Shielding your home from the harsh winter weather that visits Greeley, Colorado, could be as easy as working with Scottish Home Improvements as your local siding contractor. 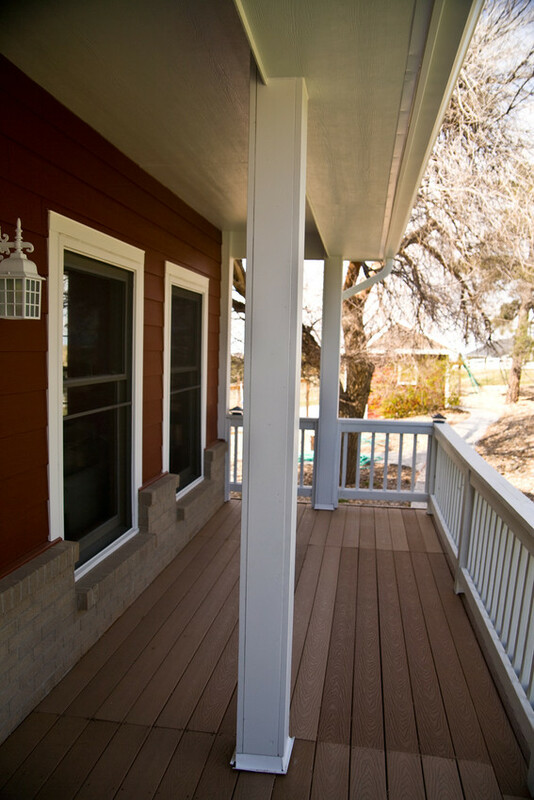 Scottish Home Improvements provides several siding options, and all of our projects are customized to the individual homeowner, making sure to accomplish the goals of weather protection while representing their personal desires and styles. When you choose the right siding, you can enjoy the affordability, insulation, and low maintenance characteristics that it provides. Let us show you how affordable and low maintenance your home siding can be by providing you with several siding options. Many people have discovered James Hardie® Fiber Cement Siding for their homes. This material will stand up to the freezing temperatures in Greeley, Colorado, much better than vinyl, because it won’t crack or splinter. Fiber cement siding is designed to resist hail, woodpeckers, and termites, and because it’s dimensionally stabled, it resists warping or distorting over time. James Hardie backs its ColorPlus® products with a 30-year limited product warranty and a 15-year limited finish warranty that covers both paint and labor. Because James Hardie products with ColorPlus Technology are manufactured to be dimensionally stable, paint stays on the boards longer. The durable siding won’t need maintenance often, and that means you’ll rarely have to worry about the long-term appearance of your home. This siding product allows for many color and style combinations, so we can design your siding exactly to your personal tastes. We can either recreate the current look of your house, or design a completely new look for the exterior of your home. With literally thousands of possible combinations, our experts can help you make key decisions on your siding project. James Hardie Vertical Panel stucco stucco styled siding is another popular option for residents of Greeley, Colorado. This siding looks better than vinyl siding and can last much longer. Unlike other stucco products these panels will not rot, chip, or crack, eliminating yearly repairs. In addition to beautiful fiber cement siding, Scottish Home Improvements carries a wide selection of siding options for Greeley homes, including steel, stucco, wood/cedar, and vinyl. We understand that installing new siding is a big investment, and we want you to feel not only comfortable with your decision, but have plenty of options to choose from so you can create a look you love. We hold high standards for the materials we choose to work with and carry only the highest quality siding products including reputable brands like LP SmartSide, Sunset Stone, Alside, and James Hardie. Additionally, if you would like to keep your natural wood siding, Scottish Home Improvements can help you with that, too. We will provide you with a sealant that can protect the cedar siding on your home, giving years more to the life and beauty of the exterior of your home. If you have existing wood or stone elements that you would like to maintain on the exterior of your home when adding new siding, Scottish can provide a design that creates a perfect flow between textures, colors, and finishes. Vinyl – Vinyl achieves the beautiful upscale look of wood without the hefty price tag. Vinyl siding is one of the most economical choices for residing your home and can be manufactured in a variety of attractive colors and styles. Wood/cedar – Wood siding is a natural choice for homes located along the beautiful Front Range of Colorado. Warm, earthy tones and bountiful texture make wood siding an eye catching choice for the exterior of any home. 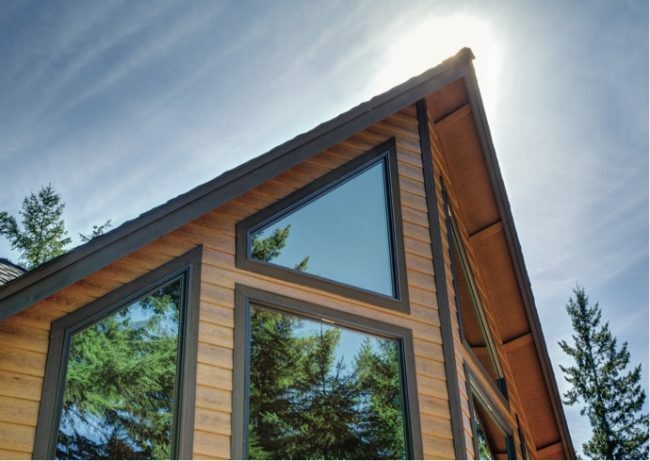 Engineered wood – In addition to cedar siding, Scottish Home Improvements also carries engineered wood siding from LP SmartSide. LP SmartSide siding mimics the beautiful color and texture of real wood, but is ten times more durable and also lasts longer too. SmartGuard gives this siding the ability to resist all types of damaging conditions, from hail to humidity and intense heat. Stone/stone accents – Today, many modern homes are being built with stone siding and accents. Invoking images of beautiful mountain riverbeds and the boulder strewn backcountry of Colorado, stone siding is reminiscent of the infinite beauty of nature and creates a very high end look for homes. Steel siding – Another siding option we offer is steel siding, which is most popular for businesses or commercial buildings. In Greeley, steel siding is an affordable and reliable way to protect and insulate. You can rest easy knowing that your building won’t be damaged by the elements, and your repair costs will drop. If you’re looking for a contractor in the Greeley area for siding repair, Scottish Home Improvements can provide you with the professional assistance you’re seeking. We’ll provide you with a free consultation and send our team of expert technicians out to inspect your siding so that you know the exact intensity of the repairs that need to be done. Once you give us the go ahead, we’ll go to work carefully repairing and replacing the damaged siding on your Greeley home. Scottish Home Improvements has been working with the residents of Greeley for many years. We have an A+ rating with the Better Business Bureau. Call or email us today for answers to your siding questions, or to set up an on-site consultation for your next siding project in Greeley. We can’t wait to start working with you!